Khedive Ismail commissioned the first Cairo Opera House to open in 1869. It was a replica of La Scala of Milan and stood for eighty years before being damaged during the Black Saturday riots in 1952. Restored, the Opera House finally met its fate in 1971, when it burnt to the ground. Precious little remained. Fortunately, two statues that stood at the original site are on view in the garden of the new Opera House complex. 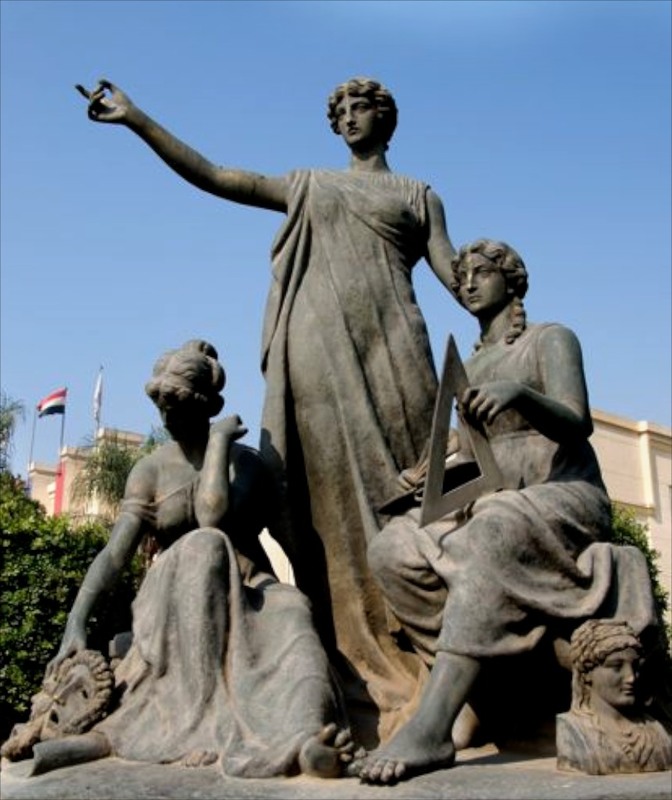 The statues are the work of Mohammed Hassan, (1892-1961), a leader of the modern art revival and considered one of the First Generation of Egyptian artists. Thank you so much for connecting with me. Is your grandfather Mohammed Hassan? This is the name that is inscribed on the statues. I do have many, many photographs of this but would be most grateful to learn more about the artist.